One Stop Party Shop…the name says it all! You can play there and have fun during the day and each Wednesday night or you can rent many different items, ranging from moon bounces to slides to outdoor movie theater screens, concession rentals, tents and tables and chairs and more. Hosting a birthday party or large corporate event? Look no further! The kids will love what One Stop Party Shop has to offer. 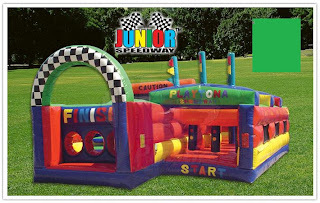 Host the event at their indoor open play and party facilty located at 300 Lawrence Drive, West Chester, PA (next to Ice Line) or rent any of their fantastic products, even buy products from their party store for your event. Every Wednesday 4:30-7:30PM $7.00 per person / up to 12 months is FREE! Price includes unlimited pizza and drinks. The First in Chester County! Last Friday of the month from 6:30 PM-9:00 PM Admission is $10 per child (includes drinks). Parents are free. Questions regarding the dance please call us at 610-431-1203. Parties are available 7 days a week during Open Play (up to age 8) or have the WHOLE place to yourselves with unlimited guests of any age. 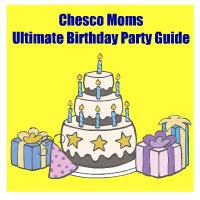 Our parties include: 2 hours of fun, drinks, pizza, paper products and of course a hostess. Come check out our fun inflatable bounces, obstacle courses & slides! Click here for pricing and complete details on our party packages! We offer half day and full day rental periods to meet your Back Yard Party or Community Rental needs. Our courteous staff will deliver and set-up your order for you. After your party or event is over we will come to pick-up. Our equipment is cleaned and sanitized before every use. So, when planning your next party or event, think OneStopPartyShop.biz! We take pride in our reputation for safety, quality and reliable service with a smile! Check out all of the items available for rental here! Check out One Stop Party Shop on the Web and on Facebook or stop by the facility at 300 Lawrence Drive, West Chester, PA (next to Ice Line). For your chance to win a Wednesday Night Family Play night with FOOD and DRINKS included for up to 4 family members, enter your information below!